Susanne Lajoie, from the Department of Educational and Counselling Psychology, wants to harness some of that excitement and absorption and use it to improve – of all things – the way students learn. It’s a complaint heard all too frequently from today’s parents; kids playing video games seem to disappear into another world. 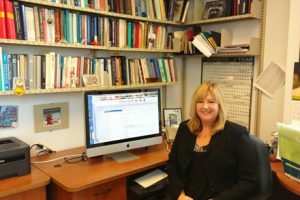 But Susanne Lajoie, from the Department of Educational and Counselling Psychology, wants to harness some of that excitement and absorption and use it to improve – of all things – the way students learn. Lajoie is the Director of the newly funded Learning Environments across Disciplines (LEADS) project. With close to $2.5 million over the next eight years from the Social Sciences and Humanities Research Council of Canada (SSHRC), LEADS brings together an international group of experts ranging from educators, psychologists and computer scientists to engineers, physicians and an historian to explore how to best use digital technology to enhance learning not only across disciplines but also across age groups, from kindergarten kids to university students. Researchers from the LEADS project will use a wide range of technology including video cameras, computers, smartphones, tablets and shared whiteboards to create learning environments where they can assess students as they interact with technology. The research runs the gamut from filming elementary school kids at play to see how they reach consensus, to creating serious video games to teach high school kids history, and even developing online diagnostic aids for medical students. Lajoie expects that at the end of the eight years of research, LEADS will be able to make recommendations for the best ways to use technology-rich environments to enhance student learning, engagement and assessment across disciplines and across age groups. The researchers want to figure out how digital technology can not only make learning more fun and exciting for students, but can also be tailored to meet the varied learning styles and needs of individuals, while at the same time assessing what students are thinking and feeling as they solve problems. Tools that can make it easier and more fun to learn at the same time.